Phacoliths are concordant plutonic bodies that lie parallel to the bedding plane or foliation of folded country rock. They occur along the crests of anticlines or the troughs of synclines in folded sedimentary strata. Rarely, the body of a phacolith may extend as a sill from the crest of an anticline through the trough of an adjacent syncline, such that it has an S shape in cross section. The hinge of folds in intensely folded terrains are areas of reduced pressure, so are potential sites for magma migration and emplacement. A phenocryst is a conspicuous, large crystal embedded in a finer-grained matrix of smaller crystals in a porphyritic igneous rock. Porphyrys are formed by a two-stage cooling of rising magma. First, deep crustal magma cools slowly, allowing formation of large phenocrysts (diameter 2 mm or more). Second, the magma cools rapidly at shallower depths having been injected upward or extruded by a volcano, allowing for formation of small crystals in the groundmass. Pluton is a general term for any large igneous intrusion of crystallized magma. Rocks that emplaced in large intrusive structures are termed "plutonic", whereas those that form in small intrusions are called "hypabyssal". 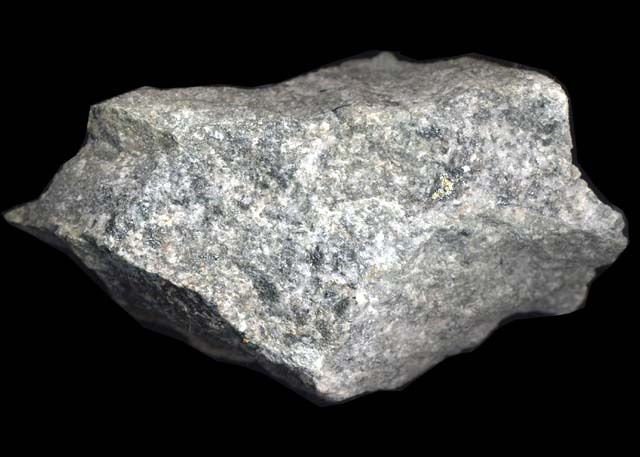 Plutonic rock types include granite, diorite, gabbro, and rhyolite. Plutonic structures include huge solidified magma chambers called batholiths, laccoliths, stocks, bysmaliths, and lopoliths, while smaller hypabyssal structures include diapirs, dikes and dikelets, ring dykes, sills, volcanic necks and plugs, and cone sheets. 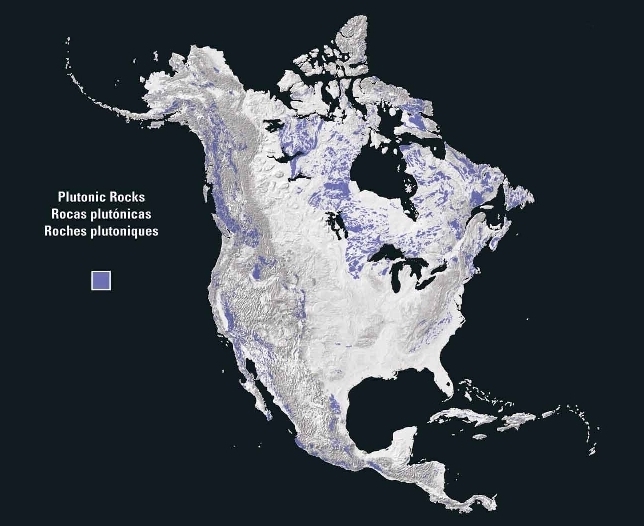 Less commonly encountered plutonic structures include: phacoliths, cactoliths, ductoliths, harpoliths, sphenoliths, akmoliths, and ethmoliths. Chonoliths are intrusive igneous structure with shapes so irregular that they do not fall into the normal categories. Any intrusive structure may later become exposed at the surface by erosion. 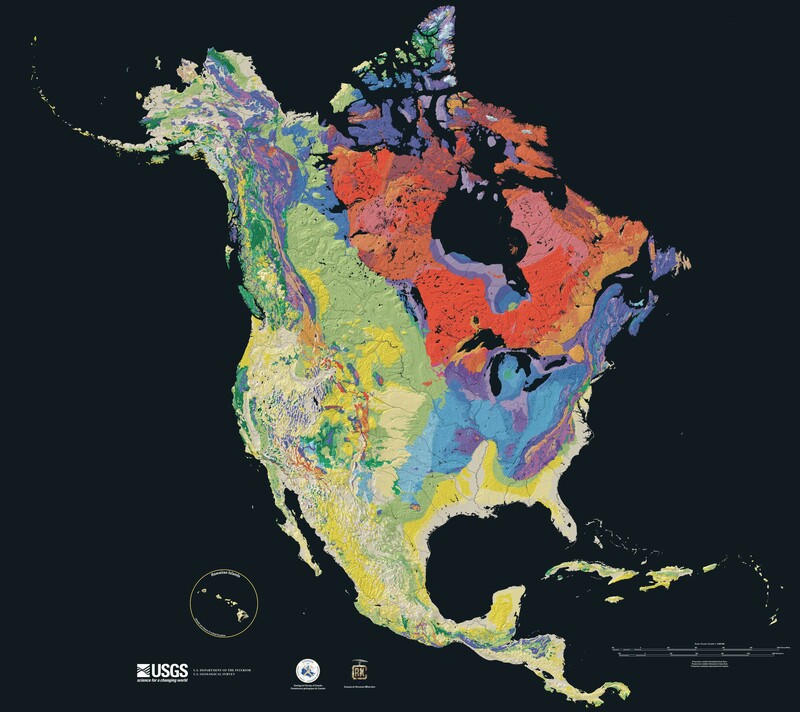 Maps of North American rock types : rock types - metamorphic, plutonic, sedimentary, volcanic; tapestry of time and terrain, terrain. Porphyry is classically a reddish-brown to purple igneous rock containing large phenocrysts of minerals such as feldpar or quartz embedded in a fine-grained matrix or groundmass of feldspar. More generally, the term porphyry encompasses any rock with a texture of phenocrysts embedded in a finer textured matrix (such as granite) or with visible crystals in an aphanitic matrix (such as basalts, aphanites or phanerites). Porphyrys are formed by a two-stage cooling of rising magma. First, deep crustal magma cools slowly, allowing formation of large phenocrysts (diameter 2 mm or more). Second, the magma cools rapidly at shallower depths having been injected upward or extruded by a volcano, allowing for formation of small crystals in the groundmass. Differential cooling permits separation of dissolved metals into distinct zones, creating rich, localised metal ore deposits (gold, copper, molybdenum, lead, tin, zinc and tungsten).